A common problem these days – we can call technological boom came with a bane – that your competitors, envies and enemies can make you look like bad and that is where the role of online reputation management comes into picture. 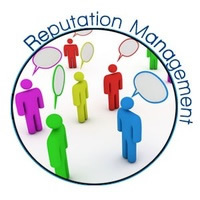 Reputation Management basically saves the day for large corporate organizations or people who are generally in limelight – to clean up any negative media regarding them that is doing rounds and splashed across the e-newspapers and dailies; something that makes into the focus of the average internet user every morning. 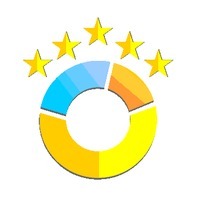 When there are negative reviews on the internet and the search engine results page throw up only bad news then there are chances that the people who surf the net for a particular person or organization or services or products related to them – they get negative media first and that drives possible customers away. How to do Reputation Management? Reputation management is not any different from search engine optimization. The activities that you can do with search engine optimization are the same for reputation management but as always the strategy changes. The strategy depends on the degree of online damage that has been done. The more the damage – the tougher it becomes to clean up all the negative press. But it never is impossible tasks for digital marketers believe that reputation management comes as a huge and tasty challenge that can be resolved if taken up and strategized properly. The regular task of making positive web properties, doing submissions, giving positive boosts and trying to put as much good press – is one of the only tasks that can be done with lots of hope that the search engines co-operate with the kind of activity that you are doing and the regular updates do not affect your web properties. The first and obvious advantage is that all your negative press gets replaced by good positive content and the web singing praises of you as a good human or an agency. Once the web is clean more promotional and philanthropic activity can be promoted. The big pain is that it does take time to get your name cleared and there are lot of investments and time that needs to be made as there will be a whole new brand image of you that is portrayed for the public to go through and it is imperative that these properties are constantly kept floating on the search engine result page. 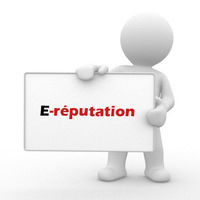 Reputation Management has become a must what with the whole world competing on the internet for a space and sometimes not a very good practice is what is adopted by users around the world. So, try to get your name cleared if your competitors are out for you!